Livestream Summary 26th Sept 2014. Trion showed off the Draumheim zone for their 26th Sept 2014 Livestream. Some screenshots and information can be found here. PTS Update 26th Sept 2014. Small ~139MB update with more Masteries changes, Minions UI changes, achievements and two new raid rifts. More info can be found here. Nightmare Rifts available to all. Nightmare Rifts Rank I and II are now available to all players on the PTS. 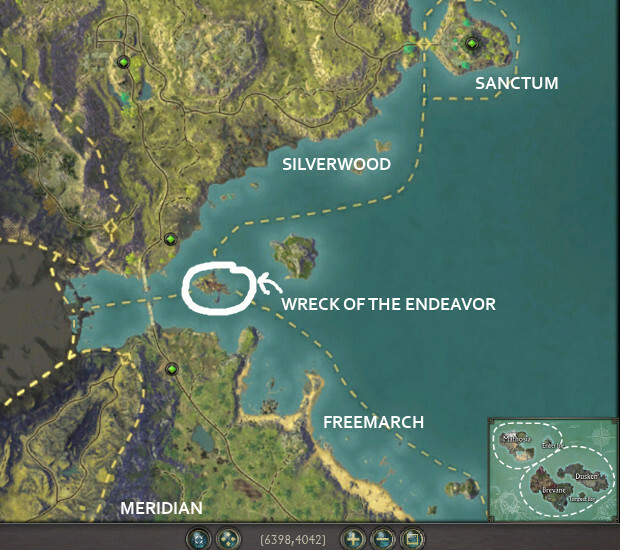 You can buy lures from the NPCs at the side of the Wreck of the Endeavor here in-between Silverwood and Freemarch. Test it out and give feedback here. I’ve also got a guide up for Nightmare Rifts that you can check out here. Minions UI Information. A bit more Minions UI information was released. Aventurines – Snedhepl reiterated that Aventurines (without the ‘d’) can be used to pay for the 10hr adventure fee or to hurry adventures. [r] Aventurines are gained from sending minions on adventures and through special consumable items. Rift Event Tracker by Aowar. A new zone event tracker has been set up by Aowar@Brisesol. It is similar to Matti@Brutwacht’s Rift Event Tracker with a few quality-of-life differences. First, you can choose to hide Mathosia or Storm Legion continents, and secondly, the table is collapsible (in terms of width) so you can display it in a smaller section of your screen. Check out Aowar@Brisesol’s Rift Event Tracker here.